On Sunday's all-new Once Upon a Time season 5 episode 15, "The Brothers Jones," Hook (Colin O'Donoghue) and Emma (Jennifer Morrison) must defeat Hades (Greg Germann) in order to return to Storybrooke with Snow (Ginnifer Goodwin), David (Josh Dallas), Regina (Lana Parrilla), Robin (Sean Maguire), Henry (Jared Gilmore), and Gold (Robert Carlyle). A surprise visit from Hook's departed brother Liam (Bernard Curry) just might provide the lead they were looking for. Meanwhile, Hades redoubles his efforts to trap the heroes in the Underworld by playing them against one another. 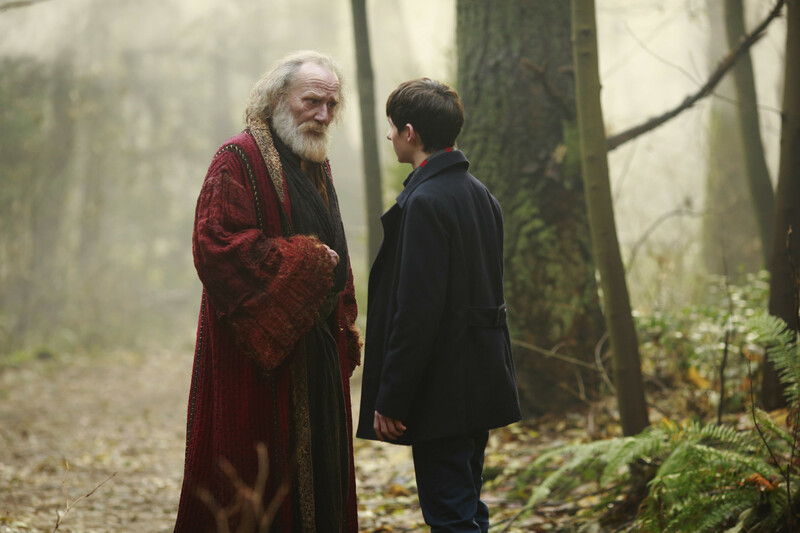 In the sneak peeks below, Snow and David search the sheriff's station and find the key to the Sorcerer's mansion. Cruella De Vil (Victoria Smurfit) suddenly arrives and mistakes David for his brother, James. 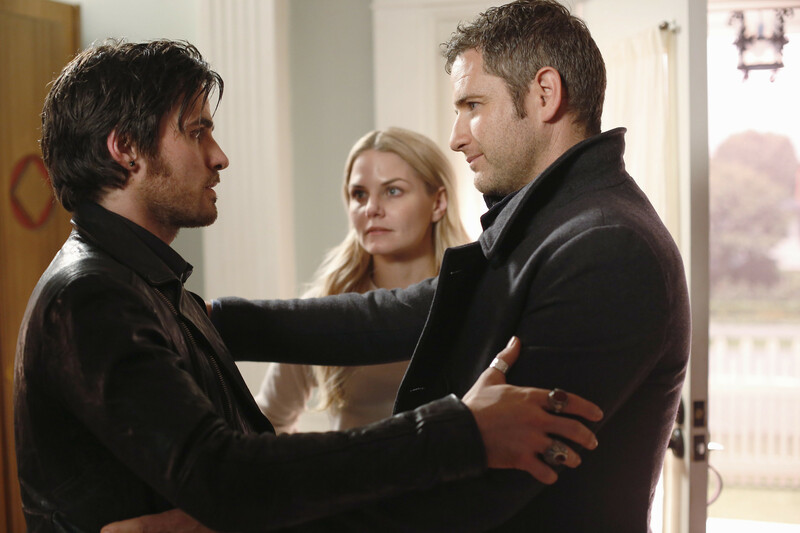 Meanwhile, Emma meets Hook's brother Liam, who may have the answer to defeating Hades. Watch these sneak peek spoilers and tune in SUNDAY, MARCH 27 8|7c! Missed this week's episode? Catch up with the recap for "Devil's Due" here! Watch Once Upon a Time SUNDAYS 8|7c. News See a Sneak Peek of "The Other Shoe"
News Once Upon a Time Season 5 Episode 21 Sneak Peeks: "Last Rites"